Today we tackle Stage 3, the Cocaine Factory! Yes, it’s nowhere near as epic as it was in the movie, but even so, it’s a pretty fun level. 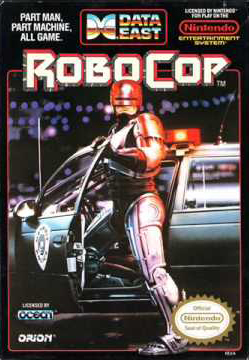 Oddly enough however, unlike in the movie, where Robocop shrugs off thousands of bullets without so much as flinching, in the game he gets seriously fucked up by only a single bullet hit.